I have to admit, I was a little worried when I started this book. I don't mind books that use a familiar premise, as long as they do so in an interesting way; but the romantic comedy trope of a hero and heroine who are both trying to win some kind of bet, each unaware of the other's true motivations... Well, that's not always one of my favorites, and it's been done many times, some of them really, really badly. 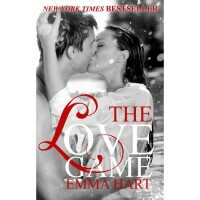 And to make it worse, for the first few chapters of The Love Game I absolutely HATED Braden. Emma Hart did almost too good a job of characterizing him as an obnoxious womanizer!However, as the story went on, I realized the author was tricking me just as the main characters were tricking each other! Because both Braden and especially Maddie had much more depth to them than I'd originally suspected, and I found myself thoroughly sucked into their story and dying to know what happened. The story was very fun and a pleasure to read, but also dealt with some difficult topics in a respectful and meaningful way. And damn it, Emma Hart even made me fall for Braden! And she also made me crave Starbucks blueberry muffins, which I don't even like that much!I especially loved the way the author ended the story--it was hopeful and life and love-affirming, yet not unrealistic or cheesy the way so many HEAs can be. 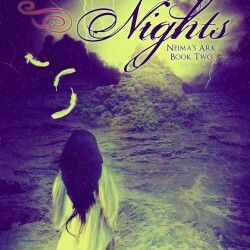 I will be reading the rest of Emma's books ASAP!